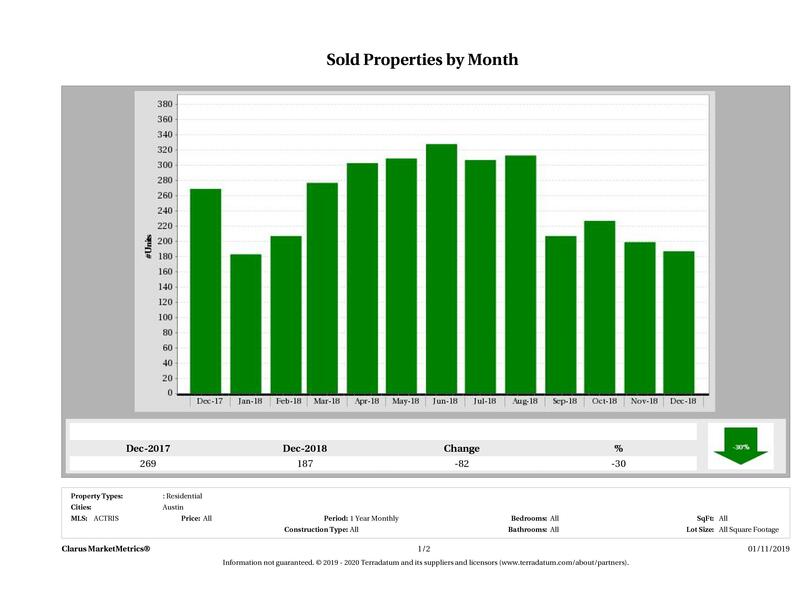 Eleven Oaks Realty is proud to present their March 2019 Austin Condo Price Report measuring activity in the Austin condo market. 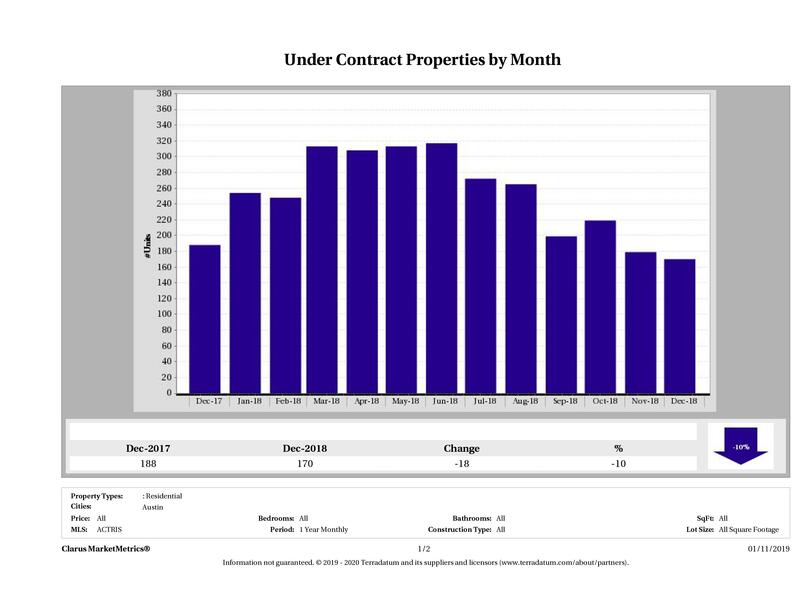 The March 2019 Austin Condo Price Report covers all condominiums and townhomes in the City of Austin. 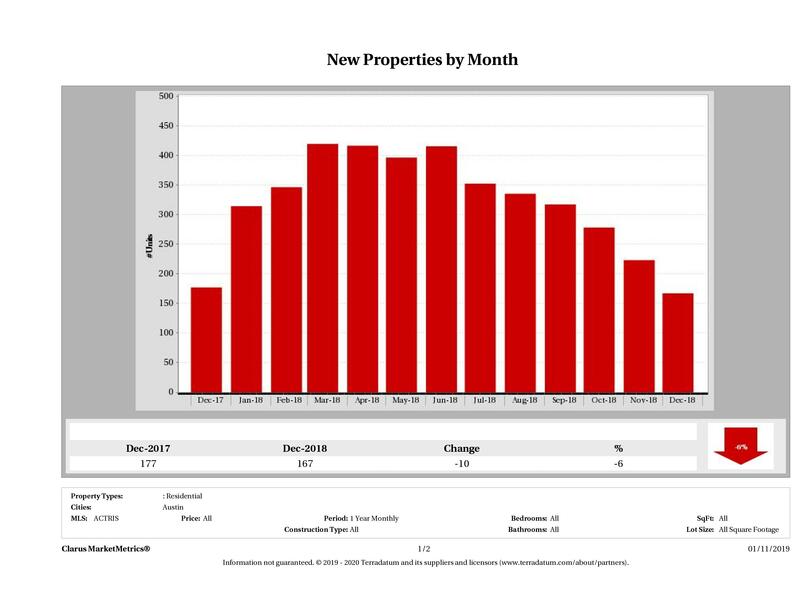 In March 2019, 212 condos sold in Austin compared to 277 in March 2018, marking a 23% (65 condo) decrease in year over year numbers. 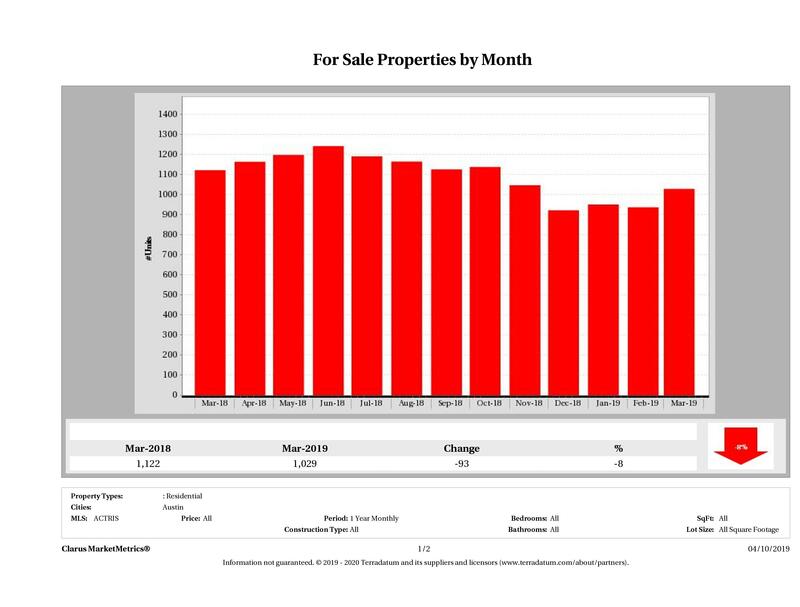 This decrease in condo sales is something we’ve seen for a few months. 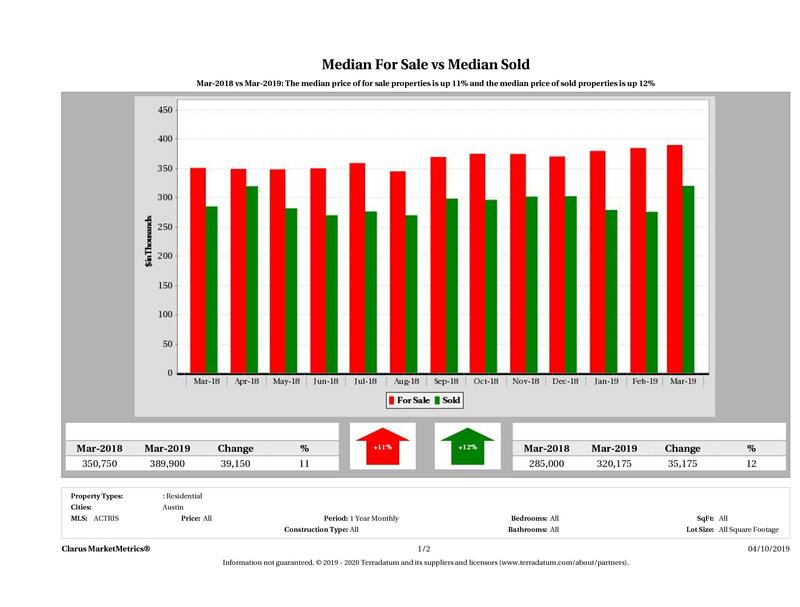 We also have seen a decrease in single family home sales, but not quite to this extent. It seems buyers are shying away from condos. It will be interesting to see if this trend continues or if this was a seasonal change. 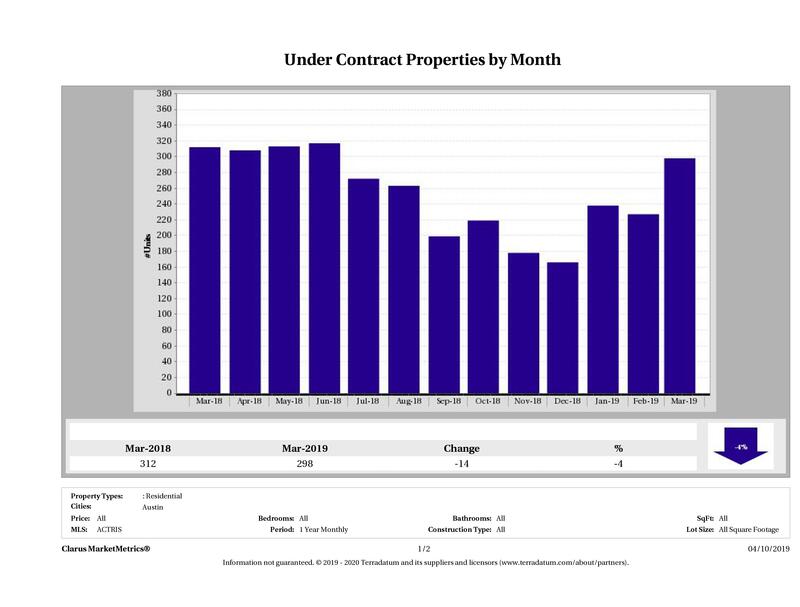 In March 2019, there were 298 condos that went under contract (pending) in Austin compared to 312 in March 2018, showing a 4% (14 condo) decrease in year over year numbers. 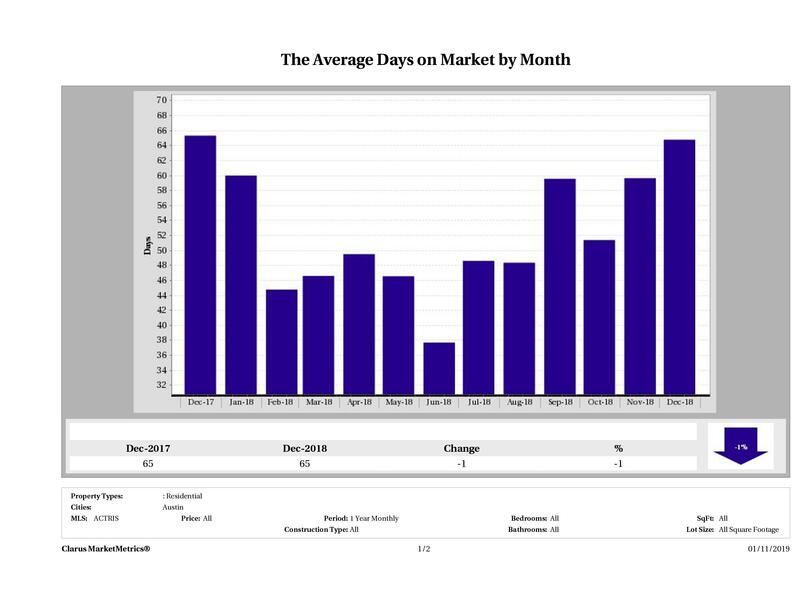 In March 2019, it took 47 days to sell a condo in Austin compared to 46 days in March 2018 marking a 1% increase in year over year numbers. 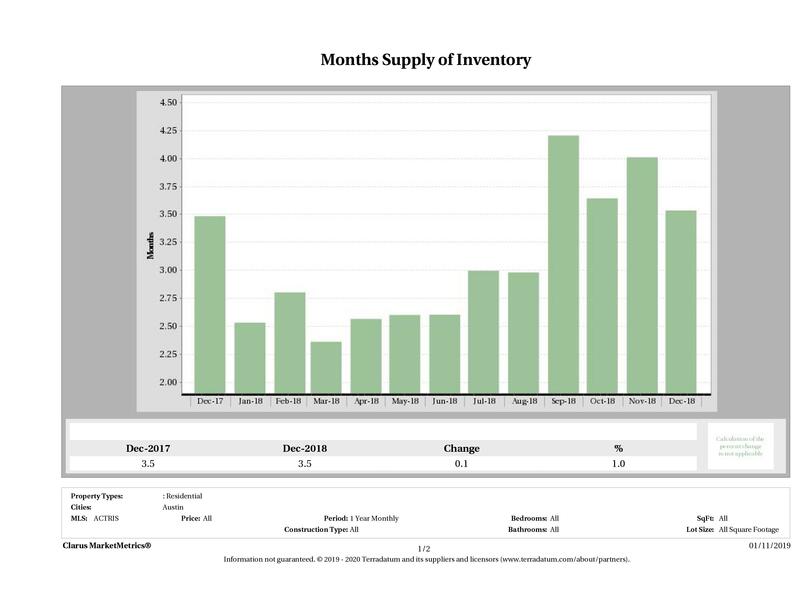 In March 2019, we had 2.2 months of inventory on the Austin condo market compared to 2.4 months in March 2018, showing a 7% decrease in year over year inventory numbers. 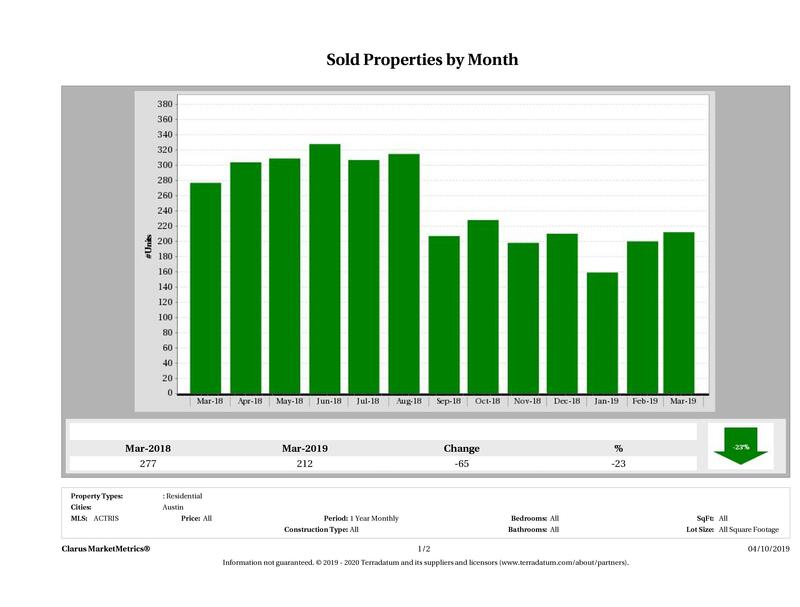 Though we’ve had a significant decrease in sales, we are still at seller’s market inventory levels. In March 2019, there were 396 condos and townhomes listed for sale in Austin compared to 420 in March 2018 marking a 6% decrease in year over year numbers. In March 2019, there were 1,029 condos and townhomes for sale in Austin compared to 1,122 in March 2018, marking an 8% decrease in year over year numbers. 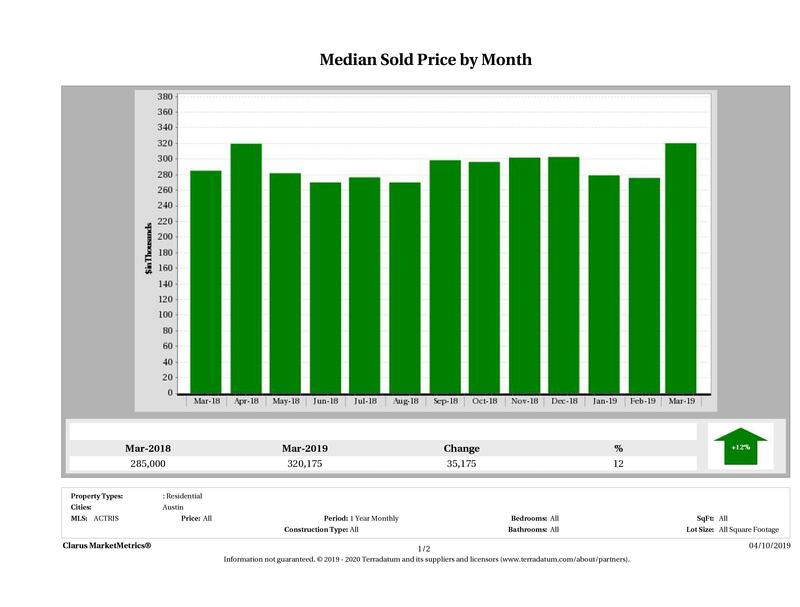 In March 2019, the median sold price of a condo in Austin was $320,175 compared to $285,000 in March 2018, marking a 12% ($35,175) increase in year over year numbers. 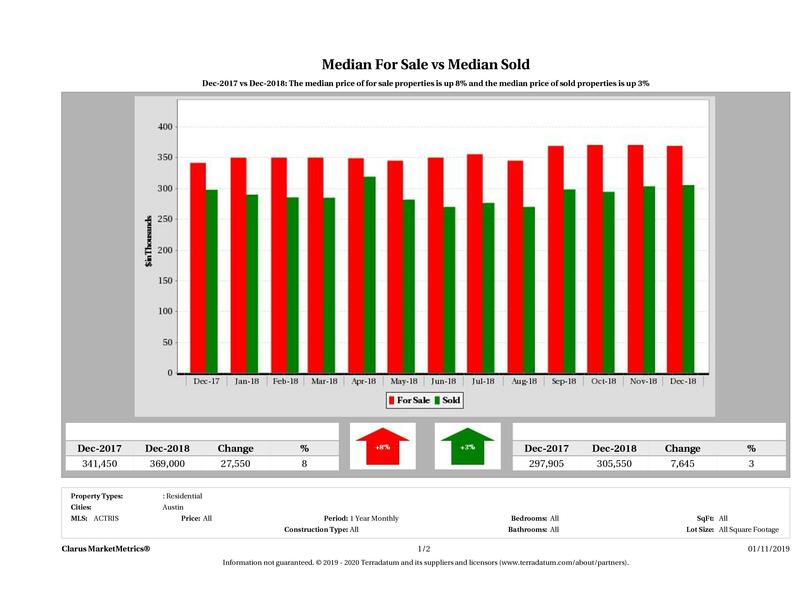 In March 2019, the median price of a for sale condo in Austin was $389,900 compared to $350,750 in March 2018, marking an 11% increase. 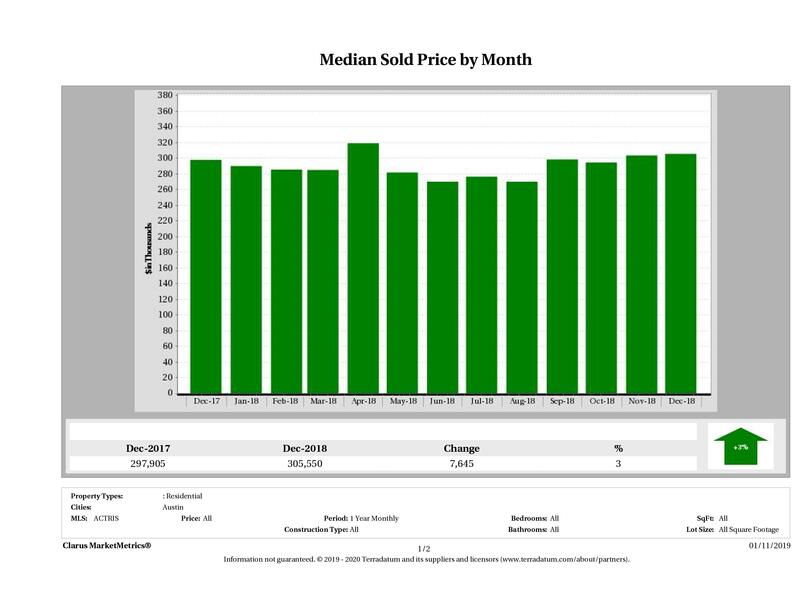 The median sold price of a condo in Austin went from $285,000 in March 2018 to $320,175 in March 2019, marking a 12% increase. 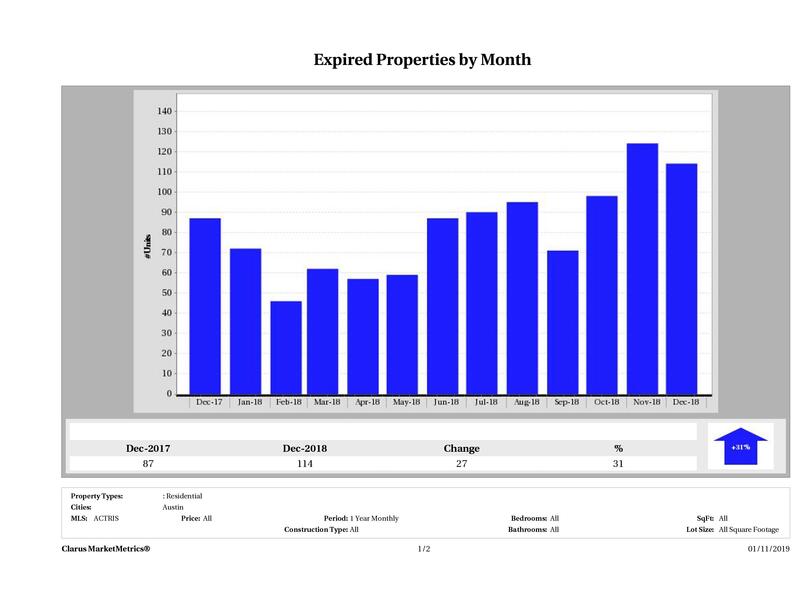 The number of expired condos in Austin (number of condos that were taken off the market) was up 3% or 2 condos in year over year figures. 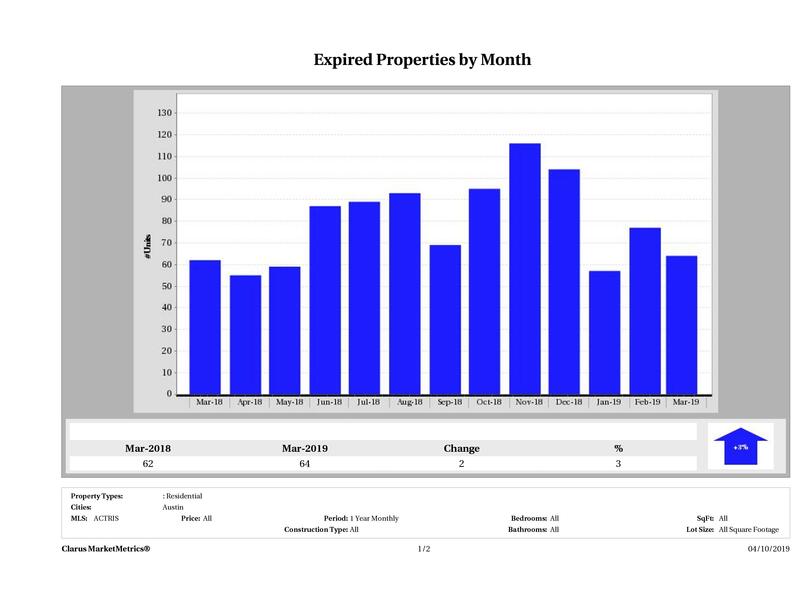 In March 2019, there were 64 condos taken off the market compared to 62 in March 2018. Even with the decrease in condo sales, we didn’t see too much of an increase in homes taken off the market. 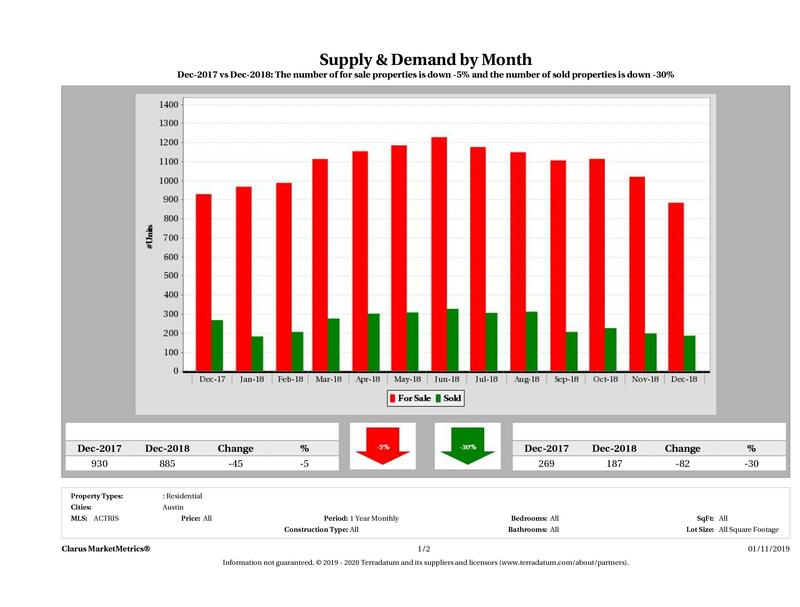 This month we saw an 8% decrease in the supply (number of condos for sale) and a 23% decrease in demand for Austin condos. The condo market saw a decrease in activity for both buyers and sellers. 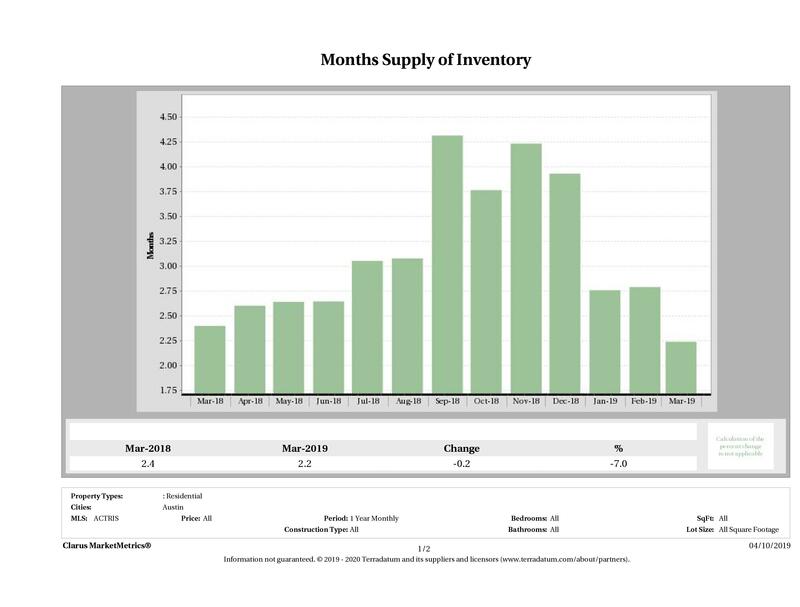 But, again we still saw a decrease in inventory. Next month’s numbers should be telling. In March 2019, there were 214 condos and townhomes that sold in Austin. Condos ranged in size from 300-3,488 sq ft with 0-4 bedrooms and 1-5 bathrooms. The most expensive condo that sold in Austin sold for $3,762,000 and the least expensive condo sold for $104,000. 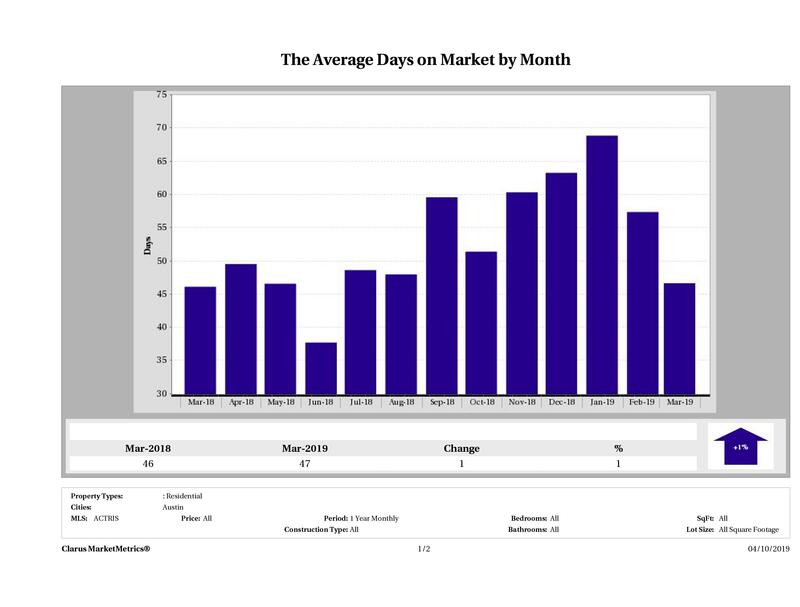 It took, on average, 62 days to sell a condo in Austin and sellers received, on average, 96.93% of their original list prices. The average price per square foot of a condo sold in Austin in March 2019 was $266.20. As we always say, the time to buy or sell a condo in Austin is when it’s right for you. Trying to time your condo purchase or sale for the market is next to impossible. The only way to know we’ve hit the peak or the bottom of the market is when it’s behind us. The most important factor in the decision to purchase is are you financially and emotionally ready to own a condo? Work with professionals who can help you wade through your finances and living situation and help you make an informed decision. If you are looking strictly at the numbers, it appears as though the recommendation is – it is time to buy. 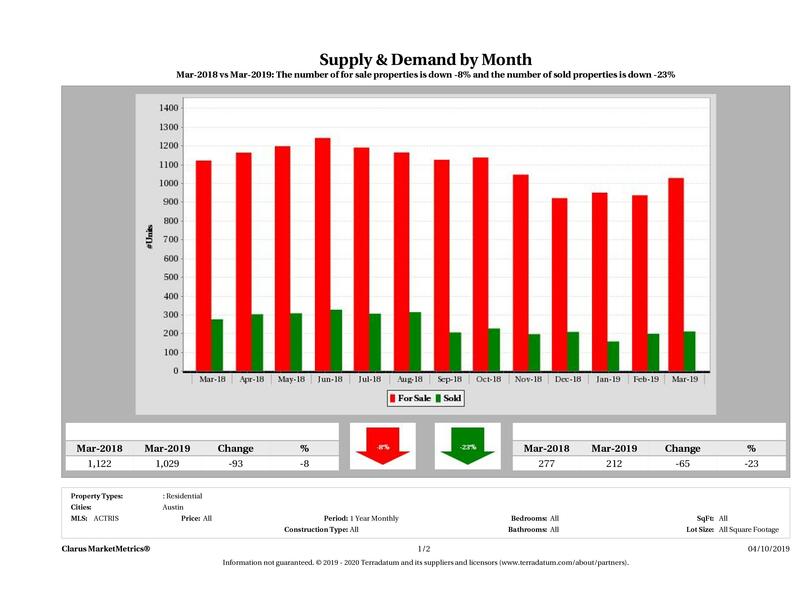 Though supply is down, demand is down significantly. With the decrease in showings and activity, sellers might be scared into negotiating better deals than they would be deeper into the busier, spring market. This might be the last opportunity for buyers if this spring picks up like the previous springs. Catch a seller now who has been waiting for a buyer through winter and you just might get a good deal. But, don’t wait. Demand should increase over the next few weeks, so if you’re looking to buy, get that process started now. Remember, when you’re buying, give yourself plenty of time to do so. Getting hung up in bidding wars for units you don’t really like doesn’t make too much sense. Sometimes buyers get caught up in winning or needing a place to live in so many days. Start your search early and you’ll have time to wait for the right opportunity. Deals are out there if you pay attention. Scout new listings as soon as they are listed. Buyers today are getting complacent and waiting days to see condos when it is convenient for them. The problem is the best units are gone by then. Make house hunting a priority and you’ll have some extra time to make a decision. Also, don’t be afraid to make offers. If a unit is worth what the owner is asking, find out if they’re willing to take your number. You never know how motivated a seller might be until you put an offer in front of them they’ll have to turn down. If you’re looking to buy, our team of experienced buyer’s agents can help you find the right condo in the right complex for you and your family. Because we know the market, we’re also pretty good at negotiating good deals as well. Check out our Austin Home Buyer Representation Program for more info about how we’ll consult you to a thoughtful purchase, rather than hard sell you the first condo we see. If you need to sell, we should be entering the best time of year to do so. If your unit isn’t ready to show, get it ready now. Though demand is down, we anticipate that will increase over the next few months. And, you want to be ready when the buyers are. If you make your condo stand out as a value compared to the competition, you will be successful at getting an offer quickly. Remember, positioning your condo as a value doesn’t just mean pricing lower. If you’re looking to sell a condo in Austin, spend some time preparing your condo to meet the market. The best condos are still selling quickly and for more money than they were last year. With some preparation and market appropriate pricing, you’ll have no trouble finding a buyer. Check out our Condo Marketing Plan, which we know is the best in Austin for how our team will sell your home faster and for more money than any other team in Austin. 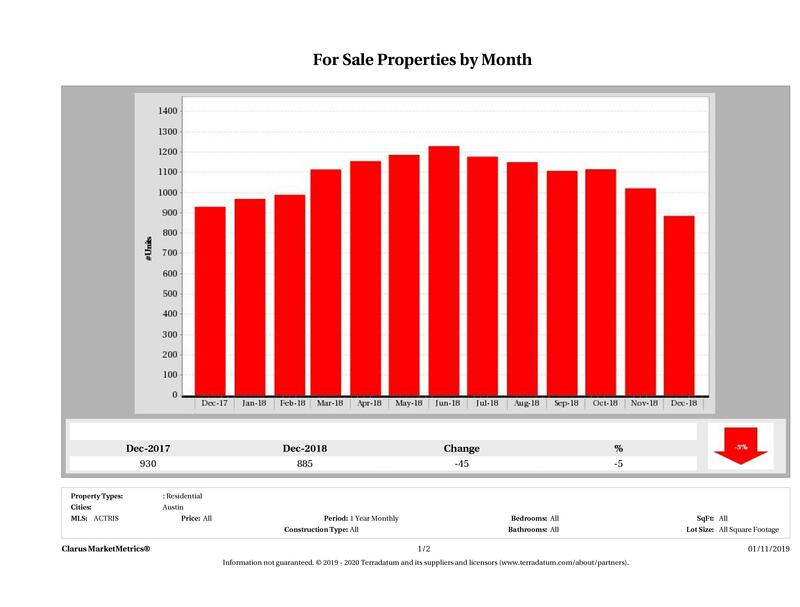 If you’re considering selling and want to know how much your condo is worth, our Market Snapshot Tool is perfect for you. Simply put in your address below and we’ll email you a detailed report with sold prices, time to sell and market activity in your complex. Questions About the Austin Condo Price Report? 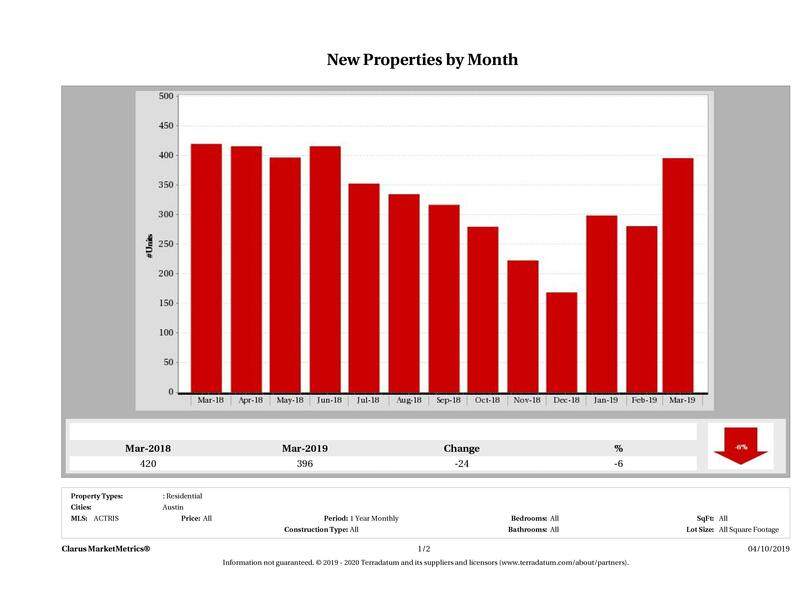 Do you have questions about our Austin Condo Price Report? Looking to buy or sell a condo or townhome in Austin? Call us at (512) 827-8323 or email us at info@11OaksRealty.com and we’ll help you in any way we can. If you’re looking to buy or sell Austin condos, don’t forget to check out our Austin Buyer Resources and Austin Seller Resources for more tips.